The competing visions of how to unwind Britain’s 46-year involvement in the European project will be hashed out again at an EU summit in Brussels on Wednesday and EU leaders have already reacted sceptically to May’s request. 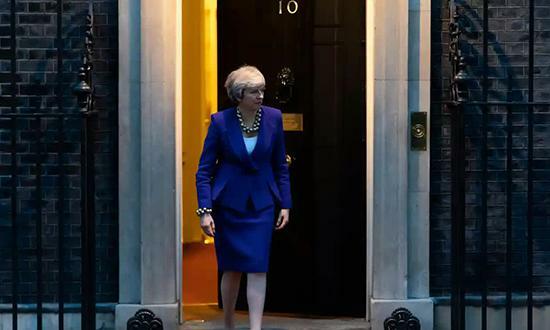 Prime Minister Theresa May asked the European Union on Friday to delay Britain’s departure until June 30 while Brussels suggested that it might be best to postpone the split for up to a year. The current Brexit deadline of April 12 has already been pushed back once from March 29 because of the UK parliament’s repeated failure to back the deal May signed with the other 27 EU leaders in December. May’s formal request to EU Council president Donald Tusk said Britain thinks the delay “should end on June 30 2019” — the same date she asked for and was refused at the last EU summit last month. “If the parties are able to ratify (the withdrawal agreement) this date, the government proposes that the period should be terminated earlier,” May wrote in a letter released by Downing Street. A senior EU official said that Tusk’s own idea for a “flexible” 12-month extension “will be presented to member states today”. But a source in French President Emmanuel Macron’s office said it was “premature” to consider the request without “a clear plan” from May about what she intended to do with the extra time. German Foreign Minister Heiko Mass said May still had “many questions” to clarify. Dutch Prime Minister Mark Rutte — seen as one of May’s closer European allies — also said the letter “doesn’t answer” important concerns. May said Britain would start preparing for European Parliament elections in case it is still a member of the bloc when they begin on May 23. Political analysts in London said May probably knew that her new deadline will be rejected because EU leaders do not think she can get her deal through parliament any time soon. May is under intense pressure from the right wing of her Conservative Party to pull Britain out of the bloc as soon as possible — with or without a deal. The first response from leading Conservative eurosceptics to the idea was very critical. Some EU leaders fear that Britain’s participation in the European Parliament vote will help boost the standing of anti-EU parties due to their popularity among Brexit-backing Britons. “The fightback to save Brexit has begun,” Farage tweeted. May’s team is currently negotiating with leaders from the main opposition Labour Party in a bid to find a compromise that can pass parliament in the coming days. Downing Street on Friday called the talks “constructive and an ongoing process”. May’s letter said the talks’ failure would likely see the two parties jointly produce several options that would be put up for a series of parliamentary votes. May had previously dismissed the idea because it bars Britain from striking its own trade deals with global giants such as China and the United States. But analysts said it was not in Labour leader Jeremy Corbyn’s political interests to help get May’s agreement over the line. “If they come to an agreement, that’s quite dangerous for him,” University of Nottingham political history professor Seven Fielding said.